Amaze the masses with your perfect look in the Adam Lippes™ Cotton Tweed Sleeve Crew Neck Fluted Dress. Jewel neckline with fringe detail. 45% cotton, 37% wool, 10% polyamide, 7% polyester, 1% polyacrylic. Lining: 70% cotton, 30% silk. 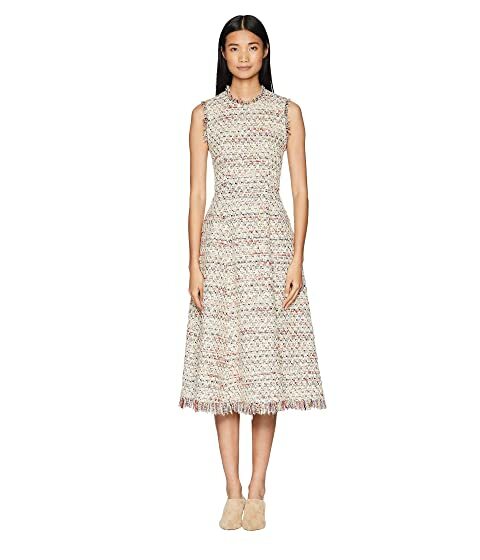 We can't currently find any similar items for the Cotton Tweed Sleeve Crew Neck Fluted Dress by Adam Lippes. Sorry!